Reporting China students offer a collection of photos chronicling early impressions from their journey through the People’s Republic. It’s 9 a.m., my eyelids are heavy with sleep, and the Sofa Café doesn’t open for another hour. The café down the street also has an hour and a half to go before opening time. “What type of coffee shops don’t open until 10 in the morning?” I ask Hao Ziduan, my interpreter, while walking with her through Shanghai’s tree-lined streets, punctuated with café’s, coffee shops and restaurants, in my quest to explore China’s coffee culture. While Hao’s assessment is accurate to some degree, coffee in its various roles has taken China by storm. Every morning, a stream of Chinese walk into their local Starbucks, emerging with a cup of Joe to go. Inside, the scene appears equally familiar to the Western eye — students study at tables stacked with textbooks and coffee mugs while businesspeople talk shop with clients. 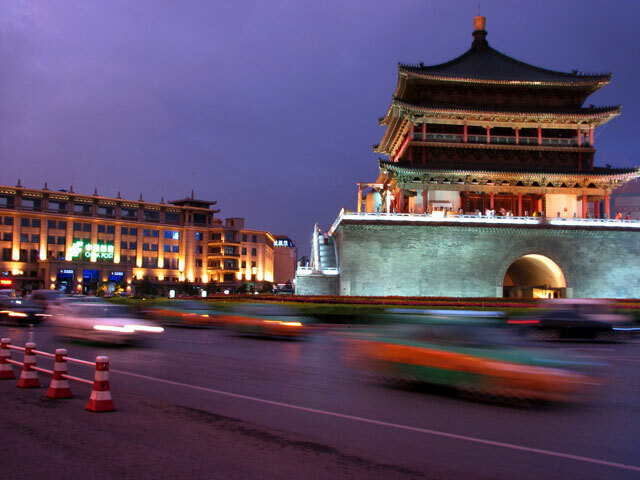 But while citizens pay lip service to the past, it appears that Xi’an, a bustling city of over 8 million and growing, is more than anything a place that appears intent on hurtling itself into an incandescent future without casting many lingering backward glances. My conversational partner was a case in point. . . . 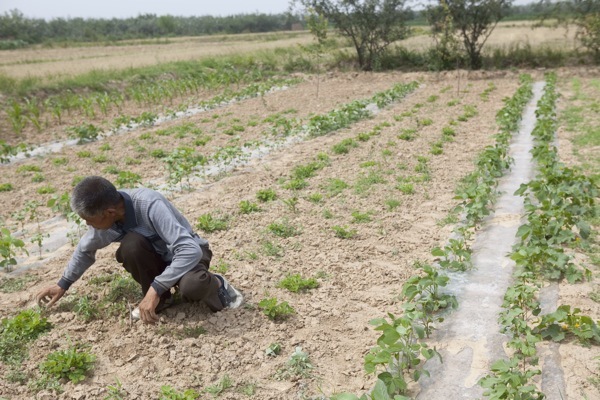 The village of Nuanxuan is just a three-hour bus ride to the west of sprawling, modern Beijing. Uneven dirt roads swallow tires whole after a good rain, laundry is hand-washed in a concrete reservoir in the center of town and bright storefront billboards starkly contrast with the sharp odors wafting from 300-year-old outhouses across the way. 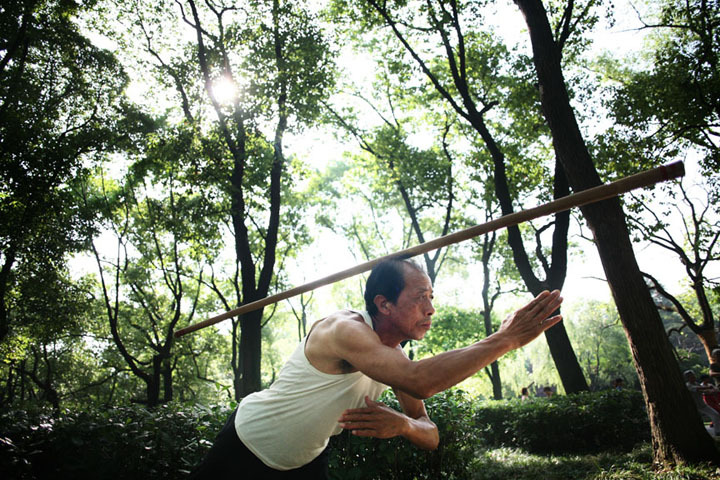 But according to Zhang Wenbo, the town’s mayor, Nuanxuan is on its way up in the world. In late 2005, the town was one of 85 across China . . . . 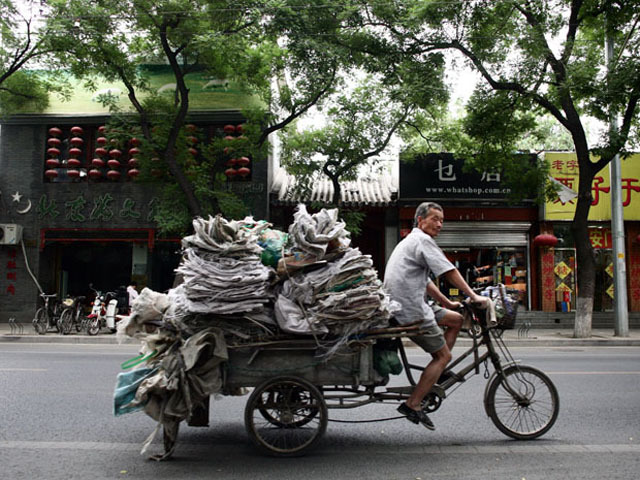 Pick virtually any neighborhood in sprawling Beijing and you will find tricycles resembling miniature pickup trucks trundling down the narrow streets, stacked high with cardboard, plastic bottles, newspapers and other refuse. Each member of this ragtag fleet is on its way to a local recycling center somewhere – often little more than a cramped room where recyclables are processed. 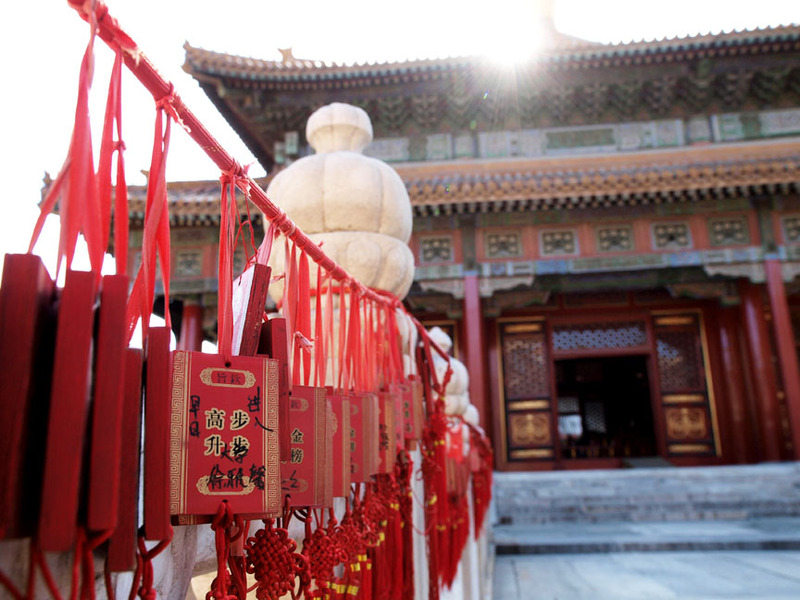 For the past 10 years, Shan Hong Jun has operated one such center on an alleyway off Houhai, a Beijing tourist district. But business has been difficult of late. . . .